One of the most closely-held secrets at Cape May Brew Co. is our Quarterly Double IPA series. Well, it’s not really a secret, we just haven’t really talked about it very much. But, it’s an awesome idea! Who doesn’t love a changeup in the schedule every now and again? The guys in the brewhouse certainly do. 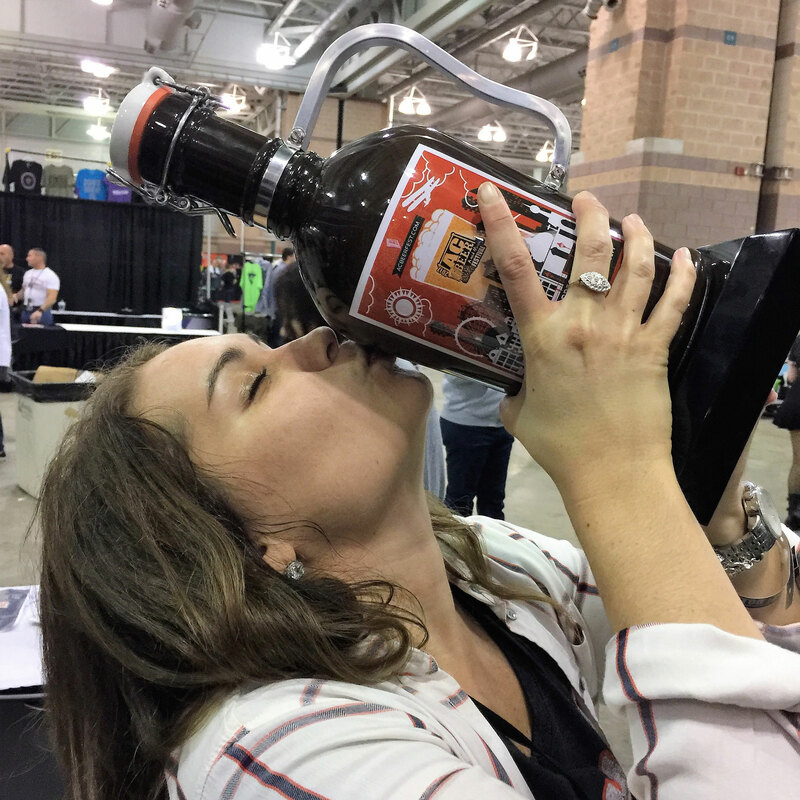 As we’ve mentioned before, if they wanted to brew the same swill over and over, there are places they could do that — and they’re all owned by Big Brew. However, they work here. 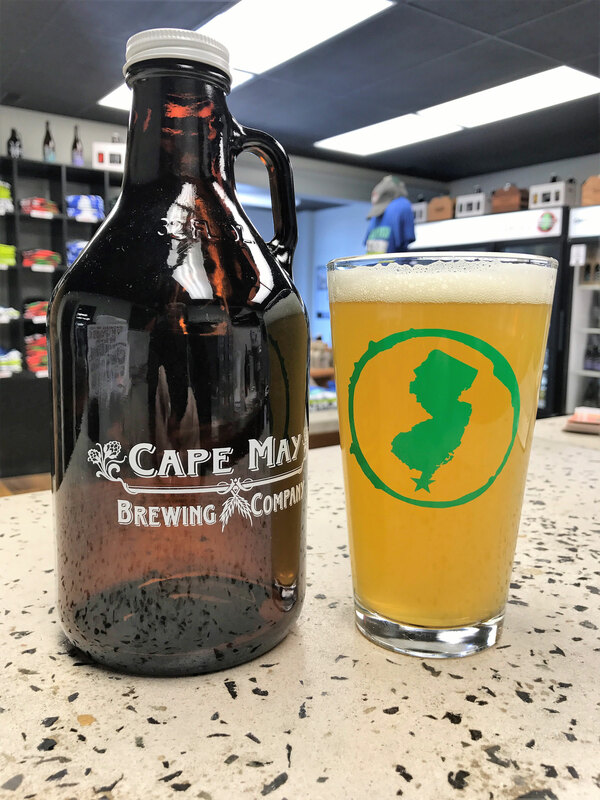 They get the distinct honor of brewing for Cape May Brew Co. And that brings some privileges. “As brewers, designing new beers is what we want to do most of all,” says Director of Brewing Operations, Jimmy Valm, “starting with an idea and working the creative juices to formulate a recipe, then seeing it all come to fruition — it’s what gets us up in the morning. 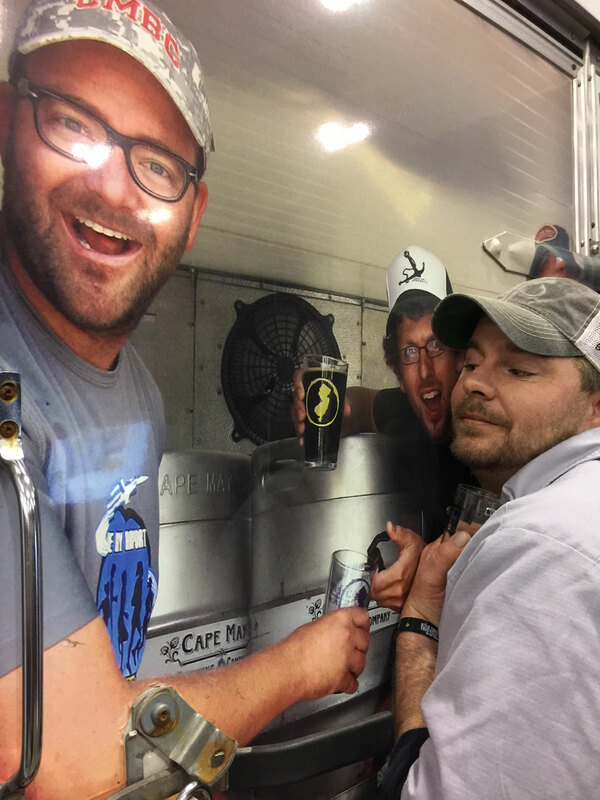 Head Brewer Brian Hink sees the craft beer drinker as falling into two segments: the drinker who has his go-tos but is willing to try something new every now and again, and the drinker who wants the newest thing on the tap list. This program appeals to both of them. It’s consistent enough to entice the less-adventurous drinker, but has enough variety that it keeps the uber-adventurous drinker on his toes. City to Shore hits the Tasting Room when the cyclists of the race do, usually the end of September. 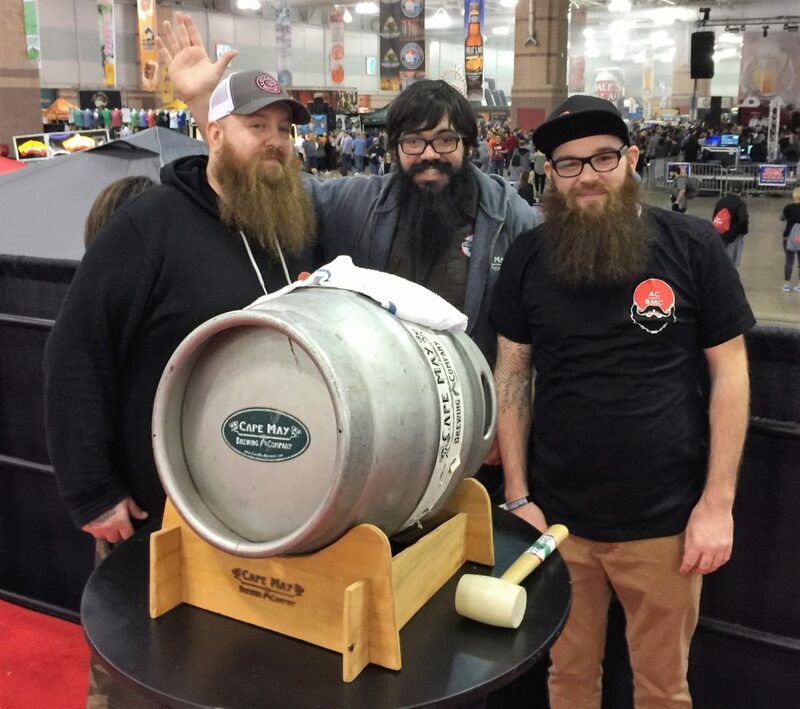 CMBC sponsors a team in the race each year, and it gives us a great chance to brew a killer beer in honor of them. Which leaves a hole in the schedule come spring — the perfect time for a smooth, drinkable DIPA like White Caps — which we’re bringing back for round two. While designing last year’s recipe, Head Brewer Brian Hink thought he knew how to achieve the “newfangled New England IPA” — or NEIPA. Typically hazy, citrusy, tropical, and juicy, NEIPAs are known for their citrus and tropical fruit aroma and flavor, as well as a significant level of haze and turbidity. “I came close, but there was definitely room for improvement,” he tells us. An avid homebrewer — as you might imagine — Brian played around at home last year, attempting to lock down the perfect NEIPA. 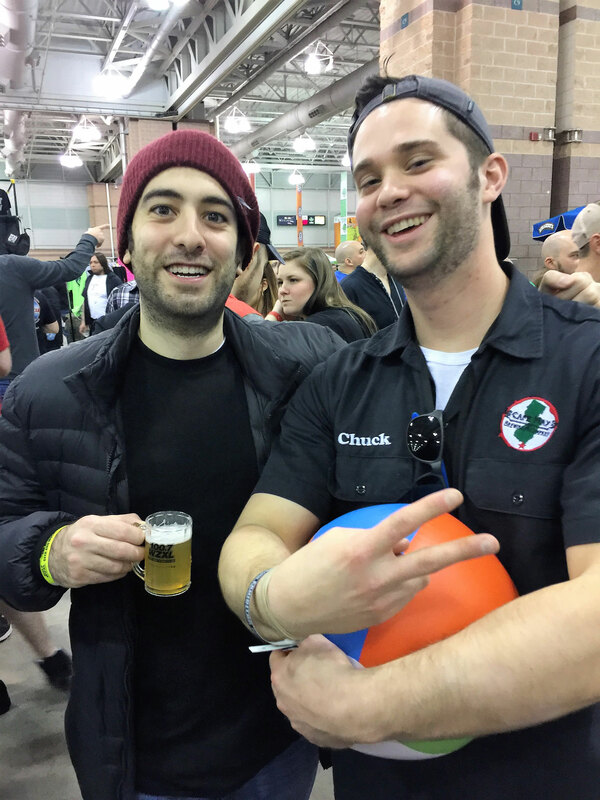 We were sourcing some of his favorite hops this year — including Mosaic, and the “de facto” hops for NEIPAs and one of Brian’s faves. 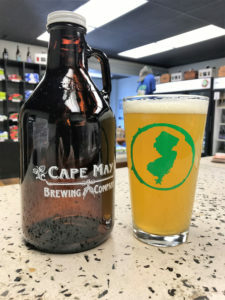 There are only a handful of New Jersey breweries making NEIPAs with any regularity, but none of them are available within two hours of Cape May. 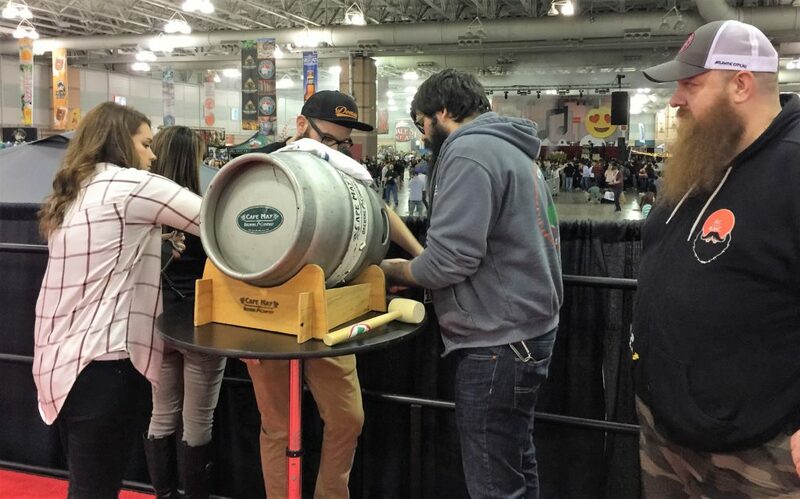 “So what’s a brewer to do when you can’t get the kind of beer you’re looking to drink? You brew it!” he says. Nonetheless, you may notice a bit of a difference in White Caps this time around. No one likes to hear that one of our best beers is changing a bit. Least of all the people in charge of brewing it, packaging it, selling it, or serving it. Nonetheless, the production and sales team, who all get to try the brews before they’re unleashed onto the public, have all agreed. Brian and Jimmy’s tweaking has certainly paid off. These changes have certainly improved the beer’s drinkability, which, oddly enough, wasn’t even necessary. White Caps ‘16 was sessionable, but White Caps ‘17 is on another level. Last time around, beer lovers raved about its sessionability — which is rare to find in a 7.5% ABV double IPA — but the soft body of White Caps ensured that you’ll start drinking them and be on your third before you realize you finished your first. High IBUs and a dry body do not necessarily result in drinkability. It can bring a sharpness that we didn’t quite want in White Caps. 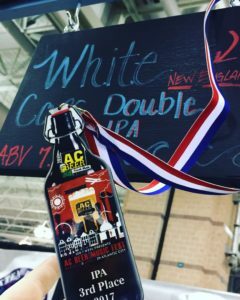 “There’s a pretty low bitterness level in White Caps that, when put in conjunction with the soft body, make a smooth beer that is very sessionable, despite its 7.5% ABV,” Jimmy says. White Caps releases in the Tasting Room today. Stop down, empty a few glasses, and let us know what you think. So these two are going to really add to the complexity of this beer and take it up to a whole new crazy level. We make a lot of beer around here — like a lot — and everyone around the brewery has their favorites. The Bog… Mop Water… Coastal Evac… the list goes on and on. But there’s one that we wait with bated breath. One that we beg the brewers to bring back. One that we look forward to time and again. Seriously, we all go a little crazy(ier) over this beer. When the guys told us that, for our next limited can release, they’d be throwing even more hops at this already-hoppy brew, we knew we were in for something special. There are beers that we brew only once, to be celebrated in our history and sought after by our fans, and there are those that we keep coming back to time and time again. White Caps is definitely one of the latter. In fact, we love this one so much, we’ve decided to put it into 16-ounce cans! Following on the heels of our extraordinarily successful (and quick-selling) 16-ounce release of City to Shore, we’re following one great DIPA with another, because 12-ounces of this bad boy just isn’t enough — only a full pint will do. They’ll go out for distribution sometime next week, so be sure to hit up your local liquor store! In the meantime, check out some of the great things people had to say about this delectable brew. 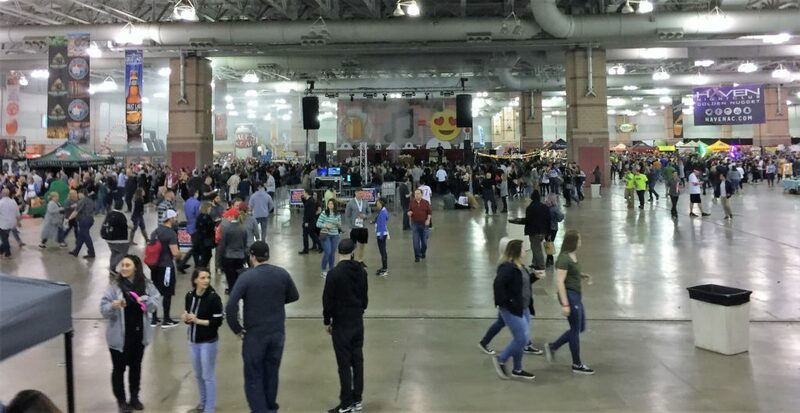 Two days, three sessions, 154 breweries, over 1,00 brews. Did you hit them all? If you did… well… you’re lucky to be alive and reading this blog. That’s a lot of beer. 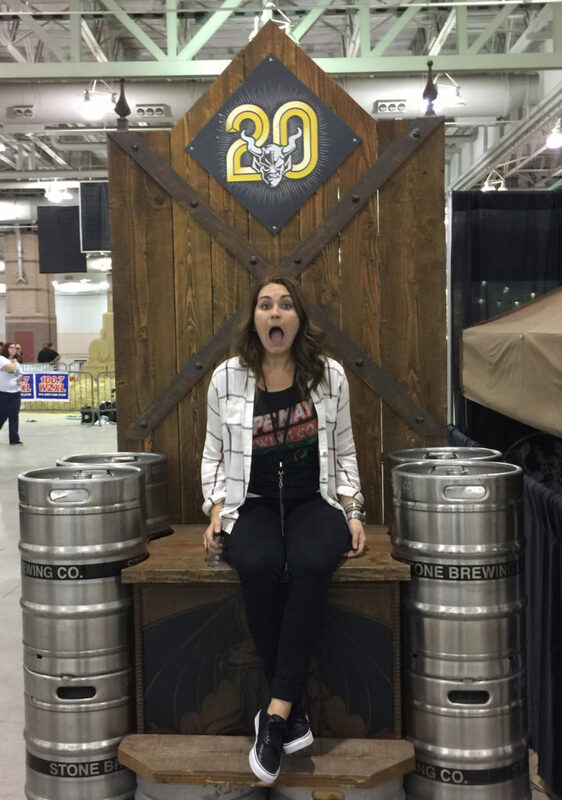 But that’s how you make the Atlantic City Beer and Music Festival into the second largest beer festival in the nation, and even event organizer Jon Henderson is a little surprised at the juggernaut that AC Beerfest has become. 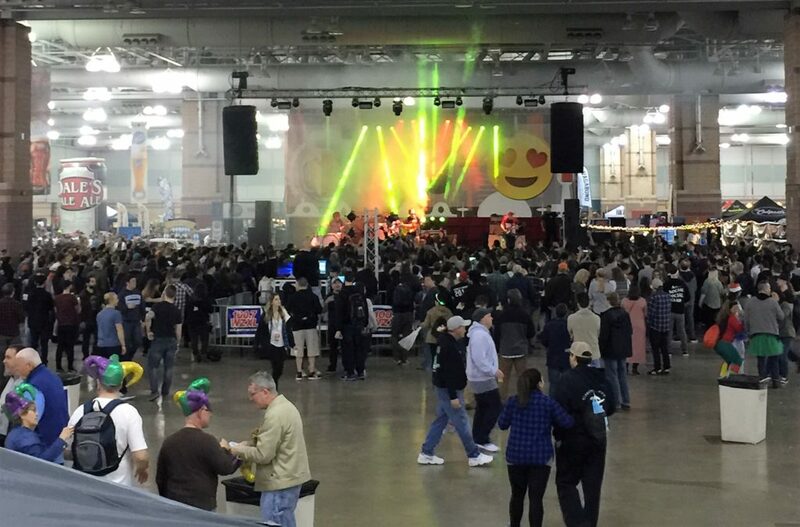 Between the beers from breweries across the country, the music from Flogging Molly, Front Bottoms, and Streetlight Manifesto (among others), and the insane activities, AC Beerfest was undoubtedly the biggest party in the country last weekend. And CMBC came out on top. For the third year in a row, we’ve been named People’s Choice! It’s a huge honor, that the revelers at the event took the time to recognize that we were their favorite. It’s one of those awards that mean the most to us, simply because it’s a recognition not by beer geeks and judges — though we like those, too! — but by fans of craft beer. We’ve said it time and again: we wouldn’t be who we are without our fans, and we mean it. 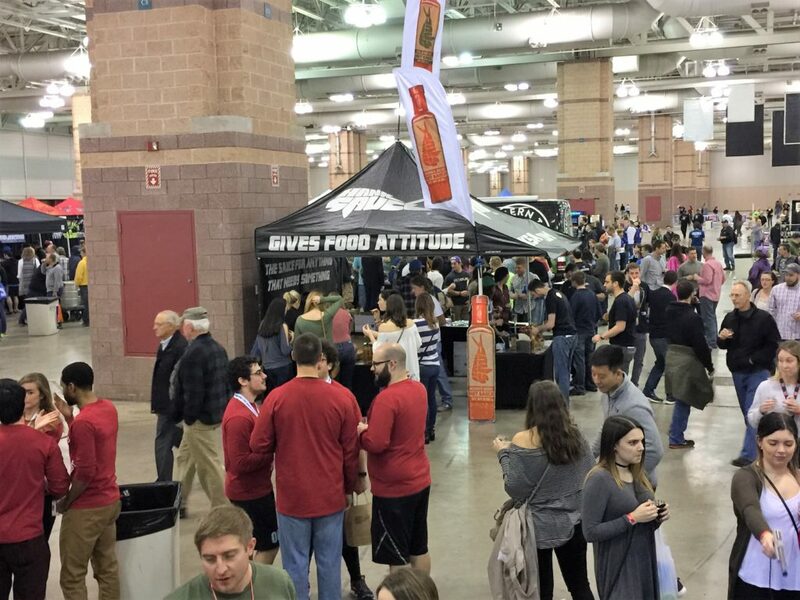 Events like AC Beerfest get us in front of more beer aficionados, giving us the chance to get more fans. We love it, and we love bringing more fans into the fold. 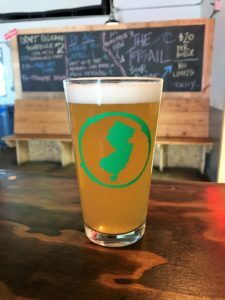 We also won Best NJ Brewery! Can’t beat that, either! It’s a great honor to be recognized amongst your peers, in your home state. We’ve got some stiff competition in New Jersey, but we’re honored to be considered among the best of them. And White Caps got a nice nod, as well! It came in third place in the IPA category — and, as you probably know, these days, IPA is king. 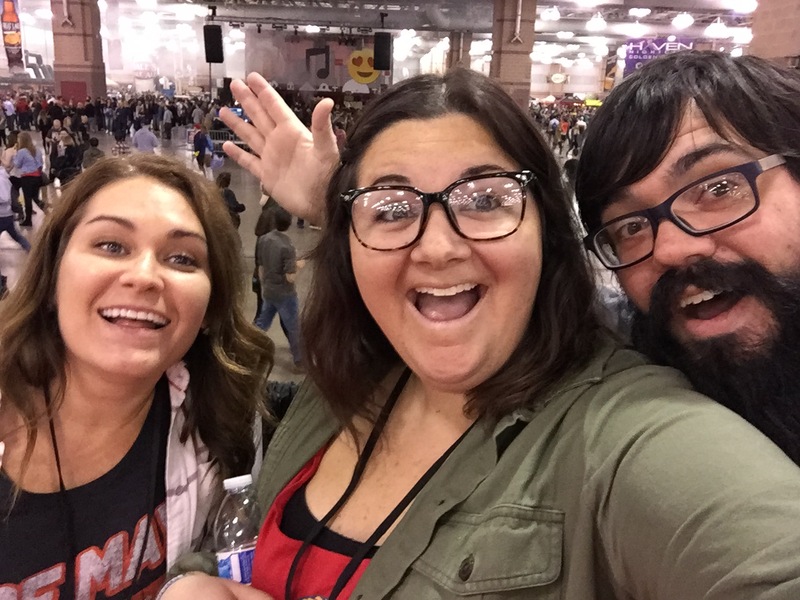 In the Atlantic City Press’s coverage of the event, one of our very own got some recognition, as well. Courtney Rosenberg, our Social Media Coordinator, spoke of the pride we have that such a great event is right up the street. “It’s evolved an insane amount, and we’re proud just because it’s local to us,” she was quoted as saying. 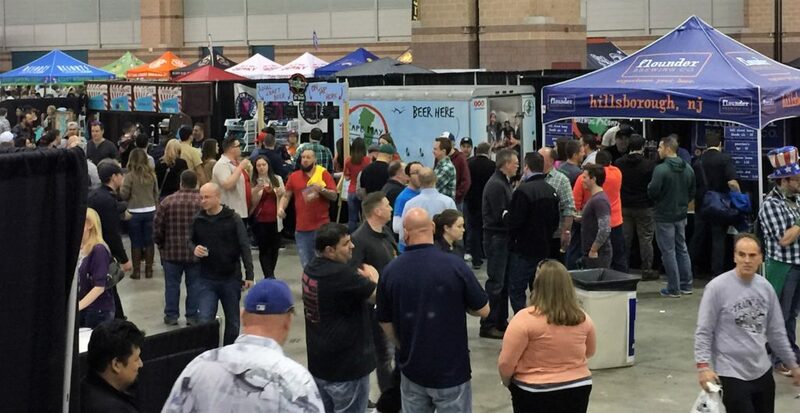 Now that it’s over, there’s even more pride for AC Beerfest. Not only is it local, but we also did pretty well this time around. In all, it was a killer weekend. We’re looking forward to next year! 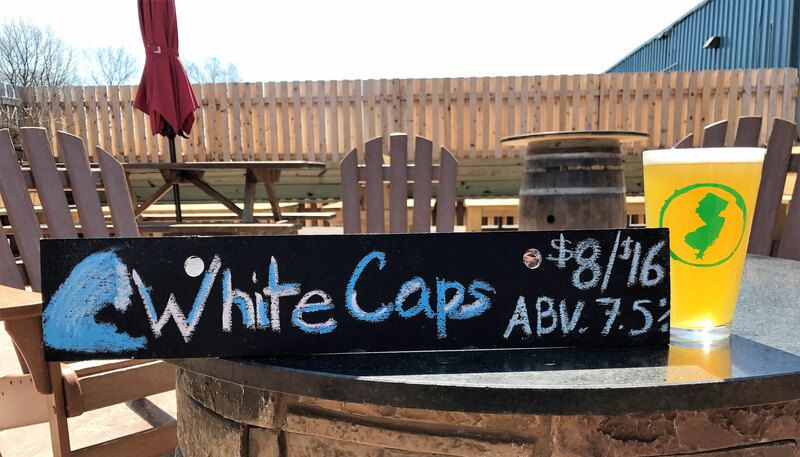 White Caps is back! 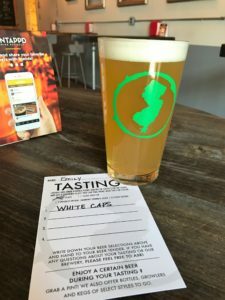 Our quarterly DIPA is back for round two on Friday, so we decided to check in to see what people thought about it the last time it was in the Tasting Room. Consensus? Good stuff. A good, crushable double IPA — and those are decidedly rare. See what else people had to say about this juicy, fruity, sessionable double IPA.